Self-Catering accomodation in Downderry near Looe, situated in the Rame Peninsula on the South Cornish coast. Downderry is a picturesque village in the historic county of Cornwall and is home to nearly a hundred and seventy people. This quiet village is flanked by the protection of sea cliffs, and a fabulous beach where the Seaton River flows and which has a mix of sand and shingle, there's stunning views from the shore as far as the Eddystone Light House and St Georges Island in nearby Looe. Smuggling played it's part in Downderry's past where the illicit contraband of silk, brandy and spices were brought ashore, although today's visitors are more likely to see fishermen unloading their treasures of lobsters and crab. There's an interesting mix of architecture from the attractive church dedicated to St Nicholas built in1905, and pretty white washed cottages and houses lining the roads. 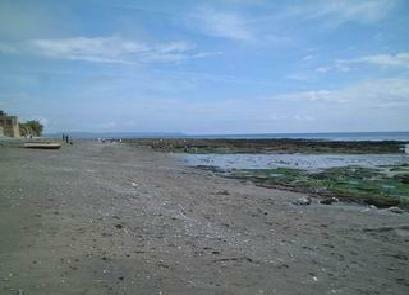 Downderry Beach of coarse grey sand and shingle lies just to the east of Seaton. At low tide a narrow strip of a beach about a mile long leads east from Seaton to the eastern end of Downderry although if attempting this please be aware of the state of the tide. There are excellent if steep coastal waks east over Battern Cliffs to Portwrinkle or back west along the narrow road with care to Seaton. Please Note The sea wall should not be used for walking...please read the displayed notices.